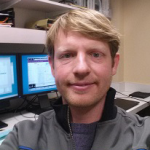 Charles Coey, T-32 Post-Doctoral Research Fellow, is a PhD and experimental psychologist with a background in studying interpersonal coordination from a dynamical, complex systems perspective. 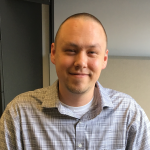 His current research interests are studying the kinds of interpersonal coordination that develop through group mind-body health interventions (e.g., Tai Chi), how they relate to a perceived sense of connectedness between group members, and how they contribute to health outcomes. 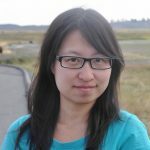 Yan Ma, T-32 Post-Doctoral Research Fellow, received her MD in integrative medicine, and specialized in sleep medicine and clinical psychology. She is interested in mind-body interventions and techniques which are capable of capturing system-level complex physiological dynamics. Kamila Osypiuk, Senior Research Assistant and Lab Coordinator, received a B.S. in Biology from Boston College and a M.S. in Physiology and Biophysics from Georgetown University. 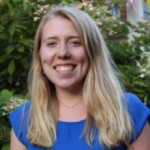 She has worked on studies evaluating Tai Chi and Qigong interventions for individuals with Parkinson’s disease and breast cancer survivors and is interested in the effects of movement-based therapies on physical, cognitive, and psychosocial health. Brian Gow, Senior Research Assistant, received his B.S. in electrical engineering from Rensselaer Polytechnic Institute. He is interested in modalities which improve and biomarkers which capture holistic health. Julie Connor, Research Assistant, received a B.S. in neuroscience from the University of Vermont. She is interested in the role of exercise, mindfulness and integrative medicine in treating pain, stress and anxiety. The Mind-Body-Movement (MBM) laboratory explores the interdependence of movement, posture, cognition and emotion in health, aging and rehabilitation. Our research begins with the assumption that health relies on the complex integration of these and other physiological systems, enabling us to function and adapt to the demands of everyday life. Conversely, age-related decline and disease is thought to result from progressive multi-system impairment, leading to decreased physical and cognitive function and reduced resilience to stress. Taking advantage of a rich collaborative network of laboratories across the Harvard Medical School, and drawing on conceptual models, quantitative methods, and experimental designs grounded in systems biology, our research has focused on evaluating the clinical impact and physiological basis of multiple integrative medicine (IM) therapies. Current work centers around the study of Tai Chi, manual therapies, and acupuncture for the prevention, rehabilitation, and symptom management of a broad range of chronic health conditions including age- and Parkinson’s disease-related balance impairments and cognitive decline, back and neck pain, migraine headaches, and cancer. Research on these, ongoing research studies, and related topics are summarized below. 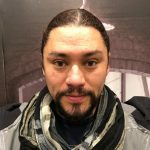 A central and ongoing focus of our research has been evaluating the safety, efficacy and potentially unique biomechanical, physiological and behavioral mechanisms through which Tai Chi may improve chronic neuromuscular and musculoskeletal conditions. Another NIH funded trial in postmenopausal osteopenic women demonstrated that Tai Chi modifes multiple objective predictors of fracture risk.3,4 Functional and fall risk benefits of Tai Chi were also supported in another pilot RCT of frail elders residing in assisted living facilities.5 Findings from this study published in JAGS informed the recently NIH funded MiWish Study, a 5-year trial evaluating yearlong Tai Chi vs. health promotion programs in subsidized low-income elderly housing facilities to determine the impact of these programs on both functional performance and health care utilization and costs. You T, Ogawa EF, Thapa S, Cai Y, Zhang H, Nagae S, Yeh GY, Wayne PM, Shi L, Leveille SG. Tai Chi for older adults with chronic multisite pain: A randomized controlled pilot study. Aging Clin Exp Res. 2018. doi: 10.1007/s40520-018-0922-0. Song R, Ahn S, Lee M, Wayne PM, Sohn MK. Exploring the adaptability of Sun-style Tai Chi to stroke rehabilitation in Korean community dwelling stroke survivors: A mixed-methods feasibility study. Rehabilitation Nursing Journal. 2017. doi: 10.1097/mj.0000000000100. McGibbon C, Krebs D, Parker S, Scarborough D, Wayne P, Wolf S. Tai Chi and vestibular rehabilitation improve vestibulopathic gait via different neuromuscular mechanisms: preliminary report. BMC neurology. 2005;5(1):3. 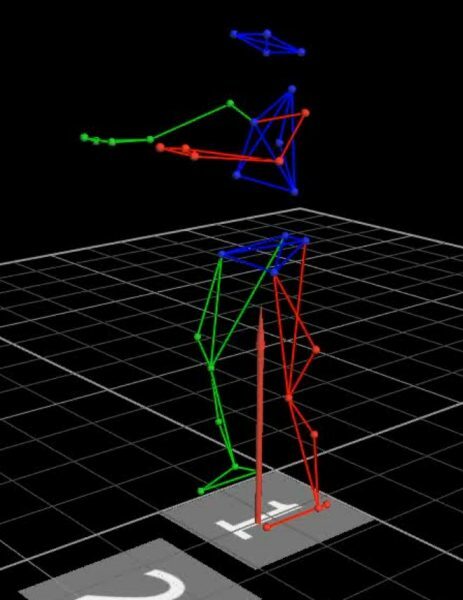 McGibbon C, Krebs D, Wolf S, Wayne P, Scarborough D, Parker S. Tai Chi and vestibular rehabilitation effects on gaze and whole-body stability. Journal of vestibular research : equilibrium & orientation. 2004;14(6):467-478. Wayne PM, Buring JE, Davis RB, et al. Tai Chi for osteopenic women: design and rationale of a pragmatic randomized controlled trial. BMC Musculoskelet Disord. 2010;11:40. Wayne PM, Kiel DP, Buring JE, et al. Impact of Tai Chi exercise on multiple fracture-related risk factors in post-menopausal osteopenic women: a pilot pragmatic, randomized trial. BMC complementary and alternative medicine. 2012;12:7. Manor B, Lough M, Gagnon MM, Cupples A, Wayne PM, Lipsitz LA. Functional benefits of tai chi training in senior housing facilities. Journal of the American Geriatrics Society. 2014;62(8):1484-1489. An extensive body of research now supports that fall risk and cognition are highly interdependent, and processes like executive function, gait health and balance are correlated and predictive of one another. This emerging view supports a particularly unique role for mind-body exercise like Tai Chi, which strategically targets both cognitive and motor processes, as well as their coordination (e.g., through training in attention shifting, multitasking, and goal setting). 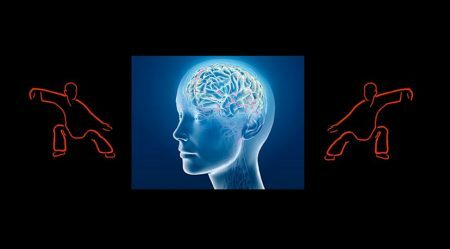 Current ongoing studies are extending this research by evaluating how Tai Chi impacts cognitive-motor interactions in individuals with Parkinson’s disease (assessed with both clinical and fMRI measures). Vergara-Diaz G, Osypiuk K, Hausdorff JM, Bonato P, Gow BJ, Miranda JG, Sudarsky LR, Tarsy D, Fox MD, Gardiner P, Thomas CA, Macklin EA, Wayne PM. Tai Chi for Reducing Dual-task Gait Variability, a Potential Mediator of Fall Risk in Parkinson’s Disease: A Pilot Randomized Controlled Trial. Glob Adv Health Med. 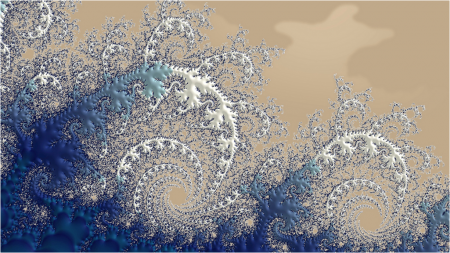 2018;7:2164956118775385. Osypiuk K, Thompson E, Wayne PM. Can Tai Chi and Qigong Postures Shape Our Mood? Toward an Embodied Cognition Framework for Mind-Body Research. Front Hum Neurosci. 2018;12:174. Song, RN, Grabowska W, Park M, Osypiuk K, Vergara-Diaz G, Bonato P, Hausdorff JM, Fox M, Sudarsky LR, Macklin EA, Wayne PM. The impact of Tai Chi and Qigong Mind-Body exercises on motor and non-motor function and quality of life in Parkinson’s disease: A systematic review and meta-analysis. Parkinsonism & Related Disorders. 2017;41:3-13. Wayne PM, Walsh JN, Taylor-Piliae RE, et al. Effect of tai chi on cognitive performance in older adults: systematic review and meta-analysis. Journal of the American Geriatrics Society. Jan 2014;62(1):25-39. Wayne PM, Hausdorff JM, Lough M, et al. Tai Chi training may reduce dual task gait variability, a potential mediator of fall risk, in healthy older adults: Cross-sectional and randomized trial studies. Frontiers in human neuroscience. 2015;9:332. Salmoirago-Blotcher E, Wayne PM, Dunsiger S, Krol J, Breault C, Bock BC, Wu WC, Yeh GY. Tai Chi is a promising exercise option for patients with coronary heart disease declining cardiac rehabilitation. Journal of the American Heart Association. 2017;6. doi: 10.1161/JAHA.117.006603. Yeh GY, Wood MJ, Lorell BH, et al. Effects of tai chi mind-body movement therapy on functional status and exercise capacity in patients with chronic heart failure: a randomized controlled trial. The American journal of medicine. 2004;117(8):541-548. Yeh GY, McCarthy EP, Wayne PM, et al. Tai chi exercise in patients with chronic heart failure: a randomized clinical trial. Arch Intern Med. 2011;171(8):750-757. Yeh GY, Wood MJ, Wayne PM, et al. Tai chi in patients with heart failure with preserved ejection fraction. 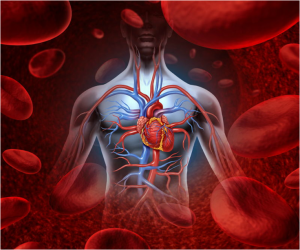 Congestive heart failure. 2013;19(2):77-84. Moy ML, Wayne PM, Litrownik D, et al. Long-term exercise after pulmonary rehabilitation (LEAP): design and rationale of a randomized controlled trial of Tai chi. Contemp clinical trials. 8 2015. Yeh GY, Wayne PM, et. al. Tai chi mind-body exercise in patients with COPD: study protocol for a randomized controlled trial. Trials. 2014;15:337. Salmoirago-Blotcher E, Wayne P, Bock BC, et al. Design and methods of the Gentle Cardiac Rehabilitation Study – A behavioral study of tai chi exercise for patients not attending cardiac rehabilitation. Contemp clinical trials. 2015;43:243-251. 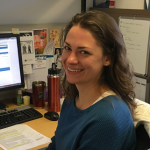 Another area of focus in the MBM lab is translational research in musculoskeletal pain. In collaboration with Dr. Julie Buring, we are completing an NIH funded observational study based at the Osher Clinical Center for Integrative Therapies. The study evaluates in a real-world setting the effectiveness of our uniquely trained integrative care team1,2 on symptoms and function in chronic low back pain (CLBP) patients, compared with a control group of CLBP patients receiving care elsewhere within BWH. Two new ongoing trials are evaluating the effectiveness of: 1) A chiropractic care program for reducing frequency and severity of episodic migraines in women; and 2) Qigong for post-mastectomy pain in breast cancer survivors. Tick H, Nielsen A, Pelletier KR, Bonakdar R, Simmons S, Glick R, Ratner E, Lemmon RL, Wayne P, Zador V; Pain Task Force of the Academic Consortium for Integrative Medicine and Health. Evidence-based nonpharmacologic strategies for comprehensive pain care: the Consortium Pain Task Force white paper. Explore (NY). 2018. doi: 10.1016/j.explore.2018.02.001. Wayne PM, Eisenberg DM, Osypiuk K, Gow BJ, Witt CM, Davis RB, Buring JE. A Multidisciplinary Integrative Medicine Team in the Treatment of Chronic Low-Back Pain: An Observational Comparative Effectiveness Study. J Altern Complement Med. 2018. doi: 10.1089/acm.2018.0002. O’Connor B, Eisenberg DM, Buring JE, Liang C, Osypiuk K, Levy DB, Wayne PM. Within-team Patterns of Communication and Referral in Multimodal Treatment of Chronic Low Back Pain Patients by an Integrative Care Team. Global Adv Health Med 2015;4:36-45. Eisenberg DE, Kaptchuk T, Post D, Hrbek A, O’Connor B, Osypiuk K, Wayne PM, Buring JE, Levy D. Establishing an Integrative Medicine Program Within an Academic Health Center: Essential Considerations. Academic Medicine, 2016; 91(9):1223-30. Jacobson E, Meleger A, Bonato P, Wayne PM, Langevin H, Kaptchuk TJ and Davis RB. Structural Integration as an adjunct to outpatient rehabilitation for chronic non-specific low back pain: a randomized pilot clinical trial. Evid-Based Comp and Alt Med 2015: doi.org/10.1155/2015/813418. Lauche R, Stumpe C, Fehr J, Cramer H, Cheng YC, Wayne PM, Rampp T, Langhorst J, Dobos G. The effects of Tai Chi and neck exercises in the treatment of chronic non-specific neck pain: A randomized controlled trial J. Pain 2016; 17(9):1013-27. Lauche R, Wayne PM, Fehr J, Stumpe C, Dobos G Cramer H. Does postural awareness contribute to exercise-induced improvements in neck pain intensity? A secondary analysis of a randomized controlled trial evaluating Tai Chi and neck exercises. Spine 2016: In Press. Wells RE, Burch R, Paulsen RH, Wayne PM, Houle TT, Louder E. Meditation for Migraines: A Pilot Randomized Controlled Trial. Headache 2014:54:1484-95. Research in the MBM lab draws heavily on a systems biology framework and related quantitative tools for studying IM therapies. In two seminal papers, we framed Tai Chi as a multimodal intervention that targets multiple physiological systems and delivers what we refer to as multiple ‘active ingredients’.1,2 In these and in subsequent publications, we also highlight the need for translational biomarkers that inform cross-system therapeutic effects.3 To address these needs, we have forged collaborations with the Institute for Nonlinear Dynamics in Medicine and the Center for Dynamical Biomarkers, both based at HMS. Working closely with leaders and faculty of these centers, especially Drs. 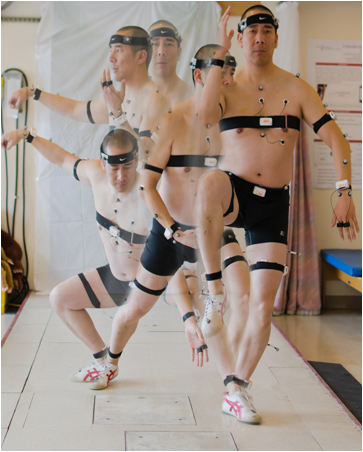 CK Peng, Lew Lipstiz, Andrew Ahn, and Jeff Hausdorff, we have begun to collaborate on studies to evaluate how complexity-based metrics of physiological dynamics inform how Tai Chi and related multimodal therapies impact system-wide changes. A second study led by a postdoctoral student Dr. Manor, reported that MSE of COP, but not traditional sway parameters were associated with functional changes in gait in individuals with peripheral neuropathy that undertook Tai Chi training.5 Current ongoing work is exploring the impact of mind-body practices on complexity-based metrics of heart rate variability. Gow BJ, Hausdorff JM, Manor B, Lipsitz LA, Macklin EA, Bonato P, Novak V, Peng CK, Ahn AC, Wayne PM. Can Tai Chi training impact fractal stride time dynamics, an index of gait health, in older adults? Cross-sectional and randomized trial studies. PLoS One. 2017;12: e0186212. Wayne PM, Kaptchuk TJ. Challenges inherent to Tai Chi Research: Part I–Tai Chi as a complex multi-component intervention. J Alter Compl Med 2008;14:95-102. Wayne PM, Kaptchuk TJ. Challenges inherent to the Tai Chi Research: Part II — Defining the intervention and optimal study design. J Alter Compl Med 2008;14:191-7. 3. Wayne PM, Manor B, Novak V, Costa M, Hausdorff JM, Goldberger AL, Ahn AC, Yeh GY, Peng CK, Lough M, Davis RB, Quilty MT, Lipsitz LA. A systems biology approach to studying Tai Chi, physiological complexity and healthy aging: Design and rationale of a pragmatic randomized controlled trial. Contemporary Clinical Trials 2013;34:21-34. Wayne PM, Gow BJ, Costa MD, et al. Complexity-based measures inform effects of Tai Chi training on standing postural control: Cross-sectional and randomized trial studies. PLoS One. 2014;9(12):e114731. Manor B, Lipsitz LA, Wayne PM, Peng CK, Li L. Complexity-based measures inform tai chi’s impact on standing postural control in older adults with peripheral neuropathy. BMC complementary and alternative medicine. 2013;13:87. Langevin HM, Wayne PM. What is the point? The problem with acupuncture research that no one wants to talk about. J Altern Complement Med. 2018;24(3):200-207. Wayne PM, Krebs DE, Macklin EA, et al. Acupuncture for upper-extremity rehabilitation in chronic stroke: a randomized sham-controlled study. Arch Phys Med Rehabil. 2005;86(12):2248-2255. Schaechter JD, Connell BD, Stason WB, et al. Correlated change in upper limb function and motor cortex activation after verum and sham acupuncture in patients with chronic stroke. J Altern Complement Med. 2007;13(5):527-532. Schnyer RN, Wayne PM, Kaptchuk TJ, Cheng X, Zhang Z, Stason WB. Standardization of individualized treatments in a randomized controlled trial of acupuncture for stroke rehabilitation. J Altern Complement Med. 2006;12(2):106-109. Wayne PM, Kerr CE, Schnyer RN, et al. Japanese-style acupuncture for endometriosis-related pelvic pain in adolescents and young women: results of a randomized sham-controlled trial. Journal of pediatric and adolescent gynecology. 2008;21(5):247-257. Lu W, Matulonis UA, Doherty-Gilman A, et al. Acupuncture for chemotherapy-induced neutropenia in patients with gynecologic malignancies: a pilot randomized, sham-controlled clinical trial. J Altern Complement Med. 2009;15(7):745-753. Lu WD, Wayne PM, Davis RB, Buring JE, Li H, Macklin E, Lorch JH, Burke E, Haddad TC, Goguen LA, Rosenthal DS, Tishler RB, Posner RM, Haddad RI. 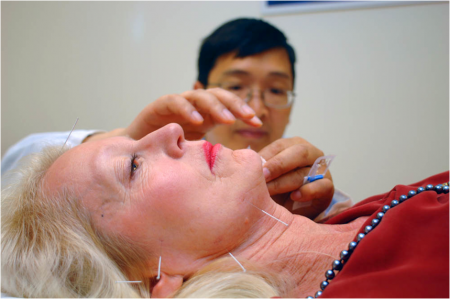 Acupuncture for Chemoradiation Therapy-Related Dysphagia in Head and Neck Cancer. The Oncologist 2016: 21:1522-1529. Ahn AC, Schnyer R, Conboy L, Laufer MR, Wayne PM. Electrodermal measures of Jing-Well points and their clinical relevance in endometriosis-related chronic pelvic pain. J Altern Complement Med. 2009;15(12):1293-1305. Ahn AC, Colbert AP, Anderson BJ, et al. Electrical properties of acupuncture points and meridians: a systematic review. Bioelectromagnetics. 2008;29(4):245-256. Langevin HM, Schnyer R, MacPherson H, et al. Manual and electrical needle stimulation in acupuncture research: pitfalls and challenges of heterogeneity. J Altern Complement Med. 2015;21(3):113-128. Langevin HM, Wayne PM, Macpherson H, et al. Paradoxes in acupuncture research: strategies for moving forward. Evid Based Complement Alternat Med. 2011:180805. MacPherson H, Coeytaux RR, Davis R, Harris RE, Kong JT, Langevin H, Lao L, Milley RJ, Napadow V, Schnyer RN, Stener-Victorin E, Witt CM, Wayne PM. Unanticipated insights into biomedicine from the study of acupuncture JACM. 2015; In Press.